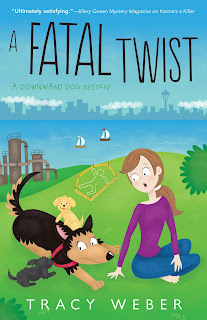 Mystery Lovers' Kitchen: Welcome guest author Tracy Weber + book #giveaway! 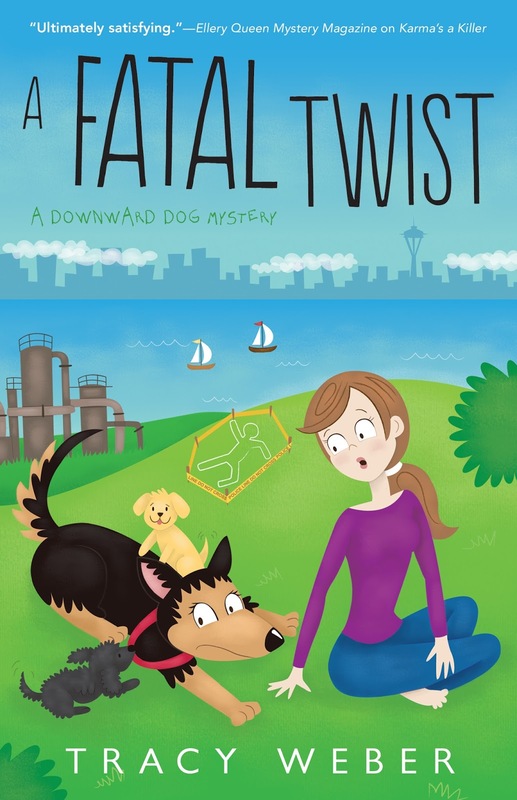 Welcome guest author Tracy Weber + book #giveaway! Tracy and her husband Marc live in Seattle with their crazy new German shepherd pup, Ana. When she’s not writing, Tracy spends her time teaching yoga, trying to corral Ana, and sipping Blackthorn cider at her favorite ale house. I’m absolutely delighted to be here today on Mystery Lover’s Kitchen, surrounded by posts from many of my favorite authors. There’s only one problem: I don’t cook. I had a minor panic attack when Daryl Wood Gerber asked me if I wanted to contribute. The answer was, of course, a resounding yes! But how? Then I remembered my mom’s famous chocolate chip cookies. To be honest, her cookies were never my favorites, but I was in the minority. Everyone who knew her loved her cookies. She gave them out by the dozens. 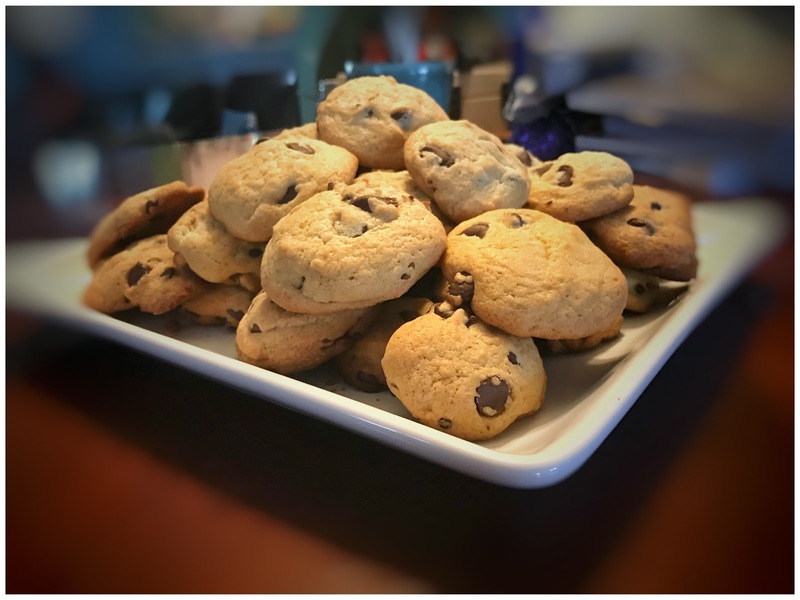 Mom’s cookies were so adored that they were mentioned in the eulogy at her funeral. There was only one problem: I didn’t have the recipe. Thankfully, one of my cousins, Valarie, did, and I was able to get it from her. I told my husband that I was going to bake cookies. He looked at me drolly and said, “That seems highly unlikely.” I rolled my eyes and made my plans, only to discover that I lacked most of the basics. I didn’t have flour. Or sugar. Or baking soda. Eggs? Not in this vegetarian’s refrigerator. Vanilla? Nope. Margarine or butter? Not that either. Chocolate I could manage. Score one for me. Then I realized I didn’t have a mixer. Or cookie sheets. Or the fabled Tupperware containers that made them so fresh. I have a Viking oven, but I’m not allowed to use it without supervision. Sheesh! What’s a girl to do? I came up with a brilliant solution. I hired one of my yoga students. Hollie made the mistake of volunteering in yoga teacher training that she had a fantastic mixer, which got my addled mind to thinking. Maybe she could make the cookies for me? A short negotiation later, you have the result of this blog article. Soft, chewy, milk chocolate chip cookies that will make your mouth water. If Mom’s fans were any indication, these cookies are sure to be a crowd pleaser. If you make them, please let me know what you think. Heck, send me a dozen! Starving yoga teachers (and their husbands) appreciate good food…. In a small bowl, stir together flour, baking soda, and salt. Set aside. In large mixing bowl, cream together Gold-n-Soft, sugars, eggs, and vanilla until light and fluffy. Add dry ingredients to creamed mixture. Mix well. Stir in chocolate chips. 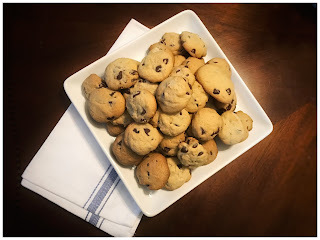 Drop rounded spoons of dough on an ungreased cookie sheet. According to my cousin, the secret is to not over bake them and to store them in an air tight bowl as soon as they are cool. Mom used to put a slice of white bread (Wonder bread, at the time) in with them, claiming it kept them fresher. I am offering a giveaway today. 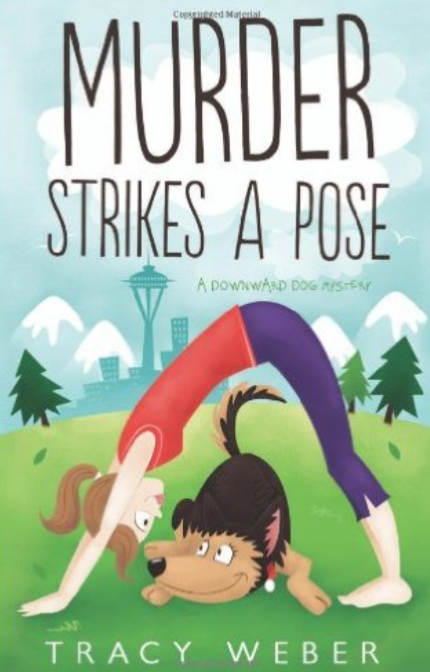 Any of the four in the Downward Dog Mysteries—winner’s choice. Leave your email and let me know if you’re a cook or if you do yoga? I actually got a blue ribbon in 4H at the county fair when younger for chocolate chip cookies. I'll make yours too! I loved this post! I am like you, I don't cook, and if I did, it would be under my husband's supervision! Lol.